Follow I-10 W to S Alvernon Way in Pima County. 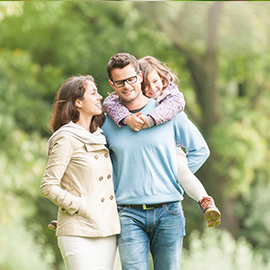 The Gardens is committed to providing quality, lifelong learning opportunities for all ages. We offer a collection of certificate programs as well as Community Classes that range in topic from Gardening, Wellness, Art, Nature and Ecology. A variety of tours are offered throughout the year, depending on the season and Garden happenings. Taking a tour is a great way to learn about the history and plant collection at the Gardens. 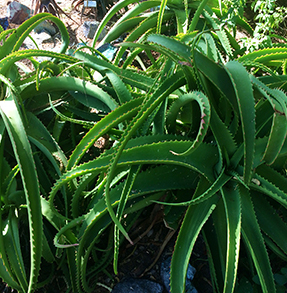 Aloe Alley is a quiet and shady garden path, a favorite with Gardens employees. 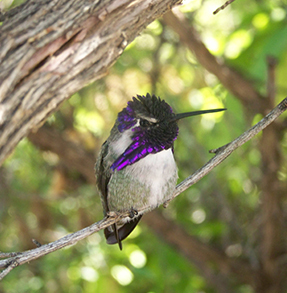 See hummingbirds flock to this area when the Aloe are flowering. 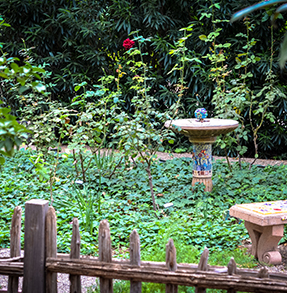 The Backyard Bird Garden shows how to attract birds the natural way. Watch for hummingbirds, cardinals, and quail year-round. 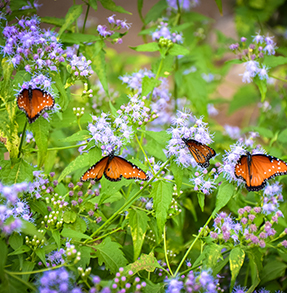 The Pollinator Garden displays a variety of seasonal plants that attract regional and migrating pollinators including butterflies, bees and birds. The Cactus and Succulent Garden features cacti from the southwestern states, Mexico, South America and Africa, plus hardy Old and New World succulents. The Children’s Discovery Garden takes you on a journey through the life cycle of a plant. 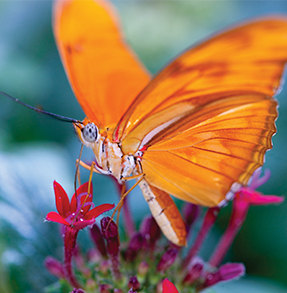 Home to Butterfly Magic, the Cox Butterfly & Orchid Pavilion, in addition to the seasonal Tropical Butterfly display, contains an impressive selection of tropical plants such as Orchids, Hibiscus, Sword Ferns and Bromeliads. 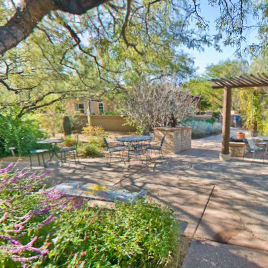 The Herb Garden displays a rich variety of culinary, fragrance, and medicinal herbs that can be grown in Tucson. The Shade Garden demonstrates which regional plants thrive and are appropriate for shady spots. 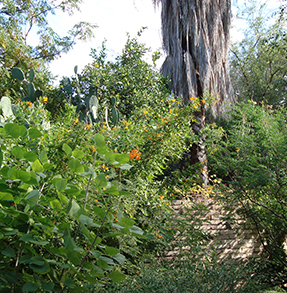 The Historical Garden features many trees and shrubs commonly planted in Tucson during the 1930s, 40s and 50s – including olive, myrtle, and dwarf citrus. Don’t miss the Iris Garden in April when it’s in full bloom. 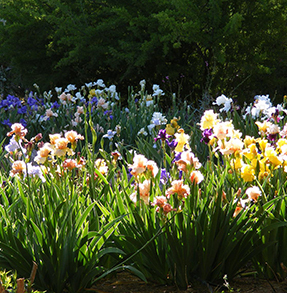 You will see a spectacular display of color and a wide variety of bearded iris. 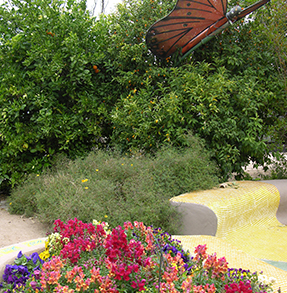 (Barrio Garden) Nuestro Jardin honors Tucson’s traditional Mexican-American neighborhood gardens with a charming and colorful display of flowers, trees, herbs, and objects commonly seen in barrio gardens. The Wildflower Garden features a variety of southwest annuals and perennials such as, Penstemon, lupine, Mexican gold poppy, desert marigold and owl’s clover, which are in bloom during spring. In the summer the space is graced with Mexican hat and chocolate flower. 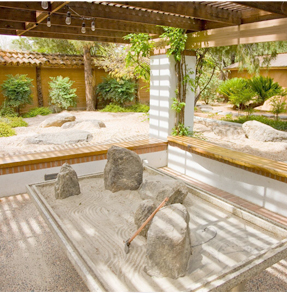 The Zen Garden is a quiet haven for reflection and peaceful contemplation. 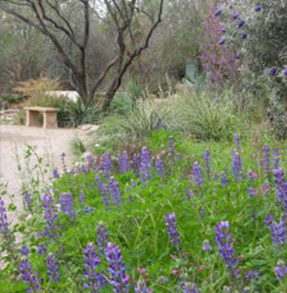 The Xeriscape Garden demonstrates a beautiful, lush and low-water-use landscape, perfect for any Tucson backyard. 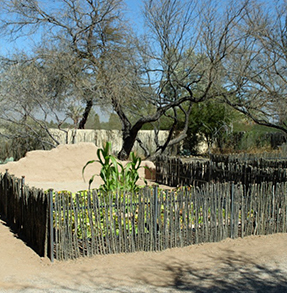 The Native Crops Garden displays traditional crops from the southwestern U.S. and Mexico with an emphasis on plants grown by the Tohono O’odham. 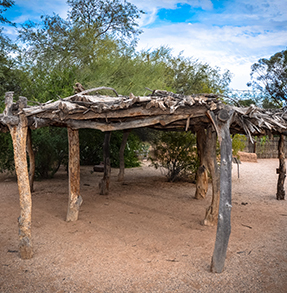 Plants of the Tohono O’odham path honors the relationship between native peoples and the plants of the Sonoran Desert. Café Botanica is run by long-time Tucson caterer and Gallery of Food owner, Kristine Jensen. The menu is inspired by the culinary traditions of the Sonoran desert and high-desert of Northern New Mexico. Kristine and her team are committed to using local, sustainable ingredients and gleaning from the Gardens when possible. 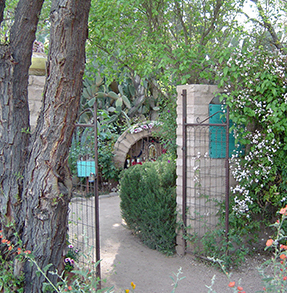 The Tucson Botanical Gardens offers an enchanting setting for any type of event. 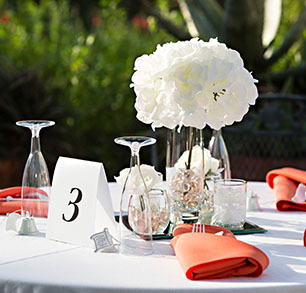 Whether you’re planning a large wedding or conference or an intimate bridal shower or meeting. 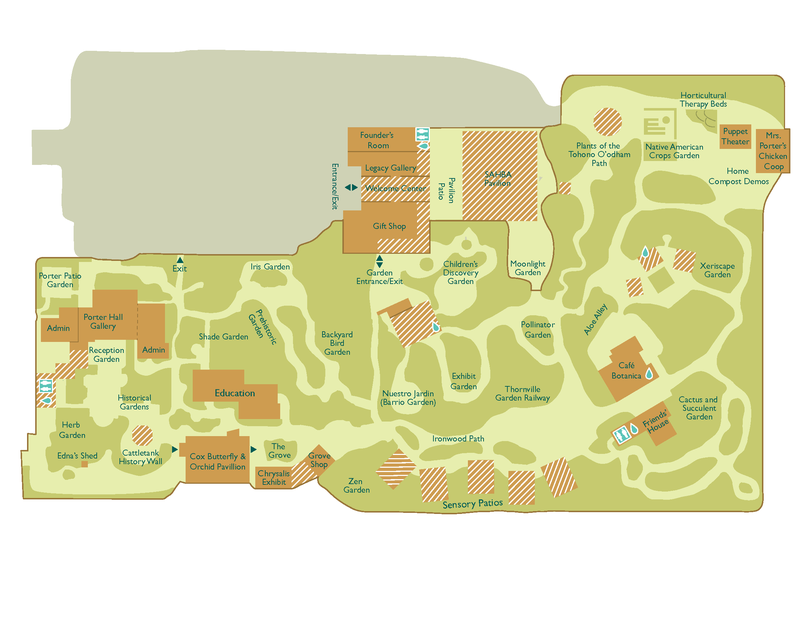 The Gardens offers a variety of different spaces to accommodate your needs. It’s more than THE Gardens, it’s YOUR Gardens. 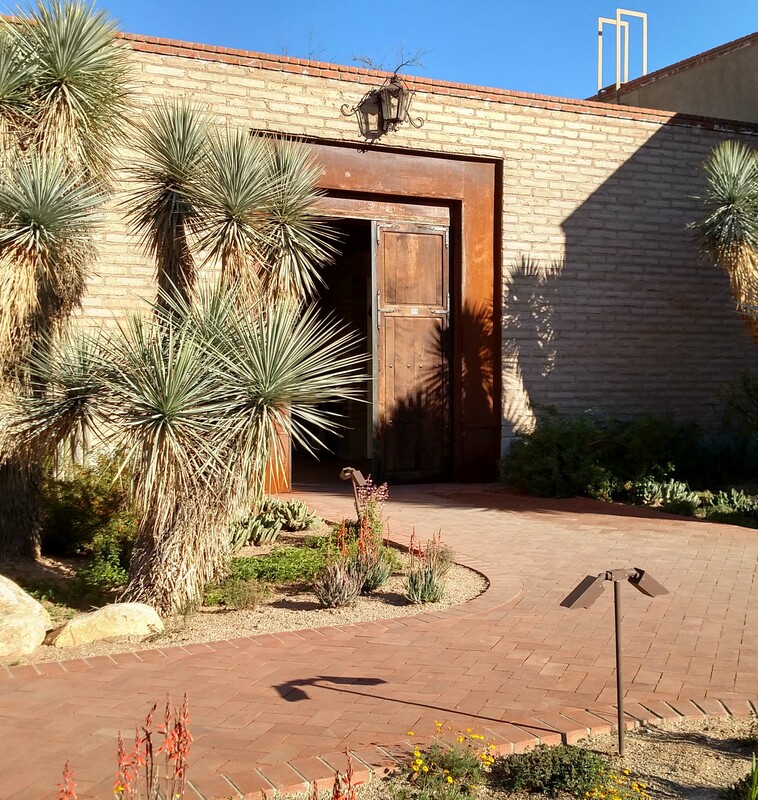 Join the Tucson Botanical Gardens family and be a part of an engaged community that loves Tucson, the desert and all that the southwest has to offer. 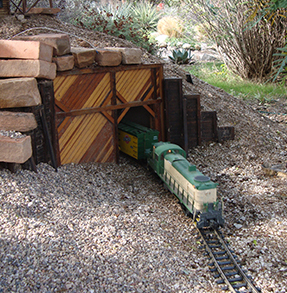 An Urban Oasis in the heart of Tucson, The Tucson Botanical Gardens sits on 5 ½ acres with 17 different, residentially scaled Gardens. Personal photos are allowed throughout the Gardens. 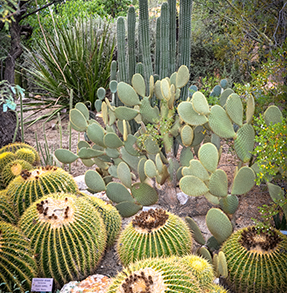 Commercial use of photographs are prohibited without the full written consent of Tucson Botanical Gardens. 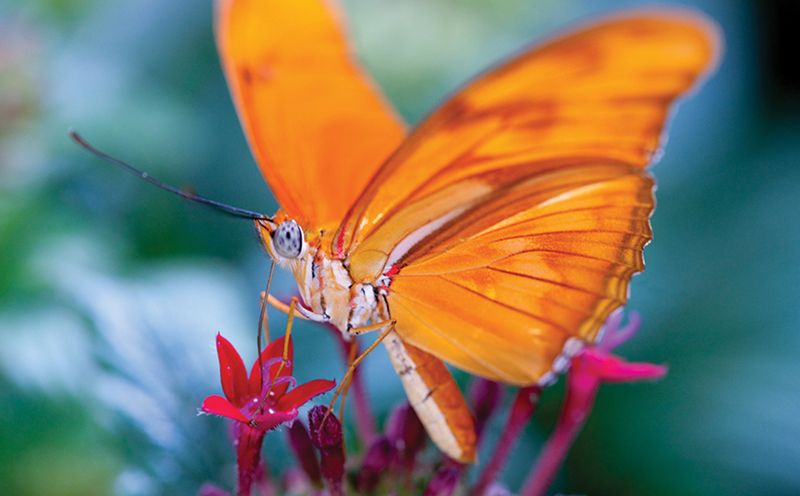 Photo shoots may be arranged by calling 520.326.9686 x29 or emailing rentals@tucsonbotanical.org. During your visit you may be filmed, videotaped or photographed by Tucson Botanical Gardens employees or contracted professional. 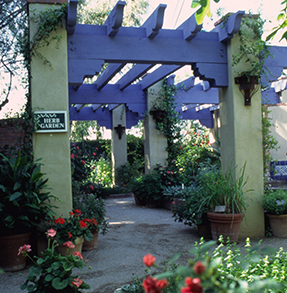 Your admission to the Gardens serves as permission for use of your image by Tucson Botanical Gardens. Stay on the maintained paths. Do not climb on trees, walls, sculptures or foundations. Smell the flowers but do not collect any plants or plant materials. Pets are not permitted except for service animals. The exception is our Dog Days of Summer (June – September). PLEASE DO NOT leave pets in your vehicle. The Gardens is a non-smoking facility, this includes e-cigarettes. 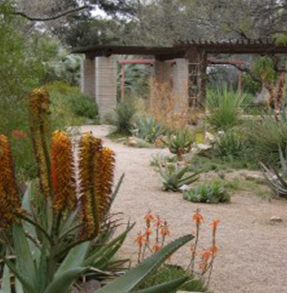 The Tucson Botanical Gardens values and appreciates feedback from visitors. Although we may not be able to respond to individual comments and inquiries, all feedback is reviewed by senior management and taken into account in our strategic and planning processes.